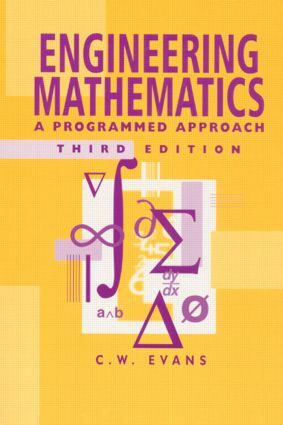 The programmed approach, established in the first two editions is maintained in the third and it provides a sound foundation from which the student can build a solid engineering understanding. This edition has been modified to reflect the changes in the syllabuses which students encounter before beginning undergraduate studies. The first two chapters include material that assumes the reader has little previous experience in maths. Written by CHarles Evans who lectures at the University of Portsmouth and has been teaching engineering and applied mathematics for more than 25 years. This text provides one of the essential tools for both undergraduate students and professional engineers.